Roman officers. 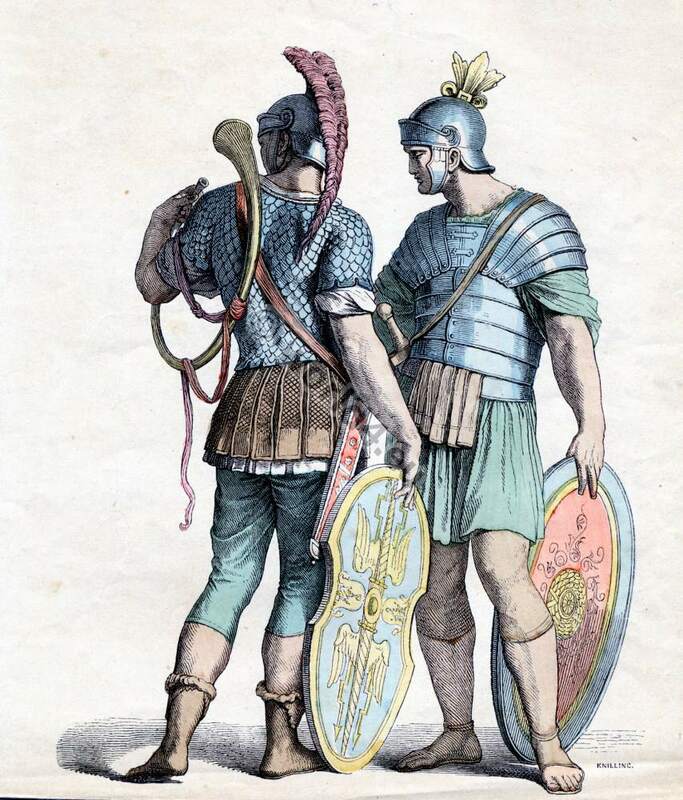 Military costumes of ancient rome. 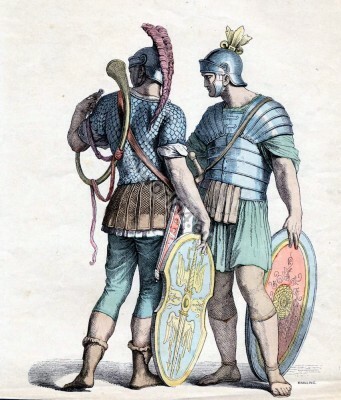 The left Legionnaire wearing as armor a Lorica Squamata, the right Legionnaire wears as armor Laminated Lorica. This entry was posted in Ancient, Military, Roman and tagged Ancient Military, Ancient Roman Costumes, Ancient Roman headdresses, Münchener Bilderbogen on 4/17/13 by world4.